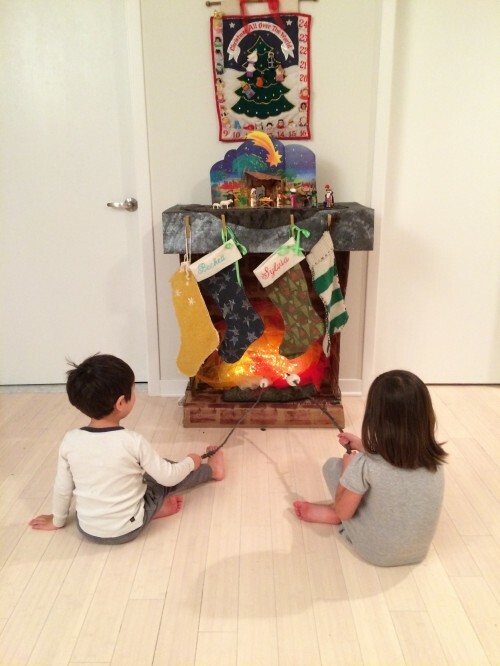 Each year we wonder where to hang the stockings. When I was downtown, I saw a cardboard fireplace in a shop and had to make one. I took our boat, which has been floating around the house for a month or so now and turned it in to a “brick” fireplace. The fire is a string of LEDs and a whole lot of tulle. The kids helped stamp the bricks on with a sponge and we made felt marshmallows. The mantle is topped off with Zach’s Playmobil nativity scene. 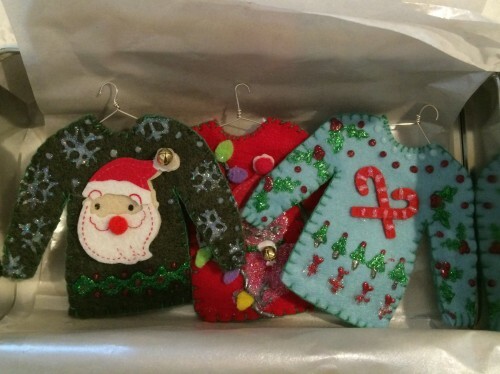 I also so this post on Ugly Christmas Sweater Ornaments and HAD to make some for my mother in law who had a long tradition through the 80’s for her sweaters. Here’s ours. 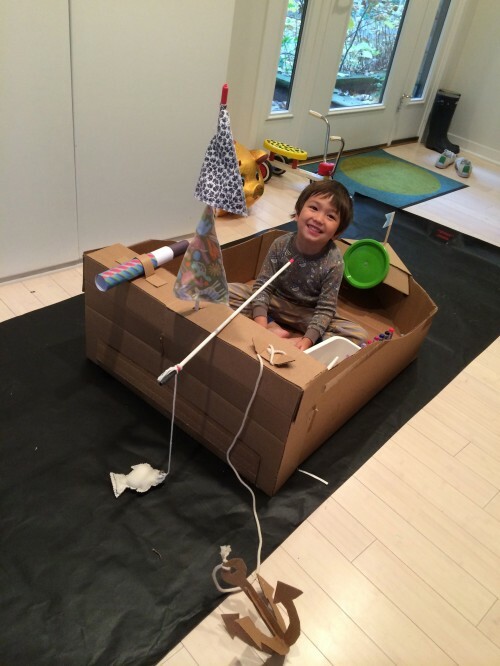 Tagged cardboard toys, christmas decoration, craft projects, kids projects. Bookmark the permalink.